The Adventures of Prayer Bear 1, 2, & 3 – Designed especially for pre-school children and featuring Dove award-winning artist Steve Green as the host, all three episodes of The Adventures of Prayer Bear include original music from Frank Hernandez (Music Machine, Hide ‘Em In Your Heart and Guideposts Junction). This fun-filled DVD is sure to be a hit with your children while introducing them to the idea that prayer is simply talking to God. 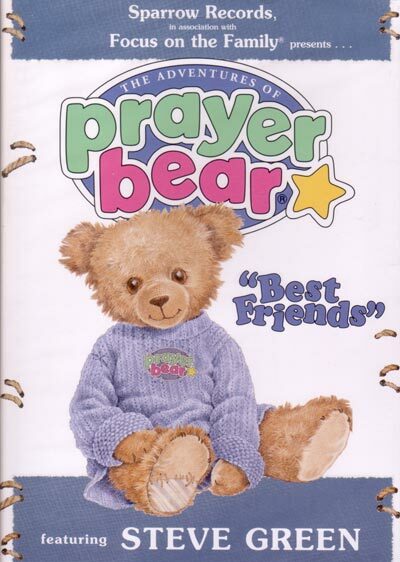 Includes titles “Best Friends”, “How To Pray”, and “Time to Pray”.